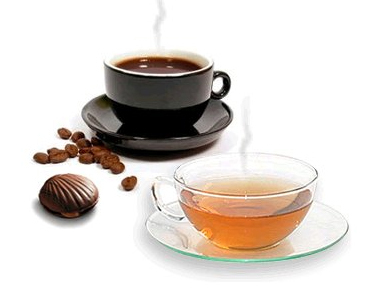 From the results of studies by experts, was drinking tea and coffee is highly recommended for diabetics. Because someone who is drinking coffee and tea regularly can significantly reduce the risk of type 2 diabetes. Rachel Huxley, head of the research team from the George Institute, International Health in Australia said that every cup of coffee and tea per day can reduce diabetes risk by 7 percent. Even according to the study drank three to four cups of coffee per day can reduce diabetes risk by 25 percent, rather than just drink one glass only. Facts are based on study conducted by a team from the George Institute, International Health in Australia. According to USDA studies and other studies, drinking a cup of coffee before a meal, or when the stomach is empty can be useful lowers blood sugar levels fluctuate up to 50%.Benefits tea and coffee could have lasted up to all day. The researchers suspect that the cause of why tea and coffee may reduce the risk of type 2 diabetes are the presence of anti-oxidants and some other substances such as magnesium, lignan and chlorogenic acid in coffee and tea that play a role in reducing the risk of diabetes and slow the absorption of sugar in digestion. Chlorogenic acid also stimulates the formation of GLP-1, a chemical that increases insulin (a hormone that regulates the absorption of sugar into the cells). Other substance in coffee that is trigonelin (pro-vitamin B3) is also thought to help slow the absorption of glucose. Although there are various researches that state the benefits of coffee and tea may reduce the risk of type 2 diabetes, but a diabetes expert from England, Dr Victoria King, have the opinion, that the results of the study should be considered cautiously. So even though people who drink tea and coffee are relatively lower risk of diabetes, but it should be noted also physical activity and diet that made that person. This means that diabetes mellitus have a very close relationship with one's lifestyle patterns, such as eating a healthy diet, high in fiber, avoid saturated fats and sugary foods and excessive exercise. Healthy lifestyle is a major step to prevent you from diabetes mellitus. This is novel information for me and if the research has given positive results then it is too good for diabetic patients who face many problems due to it. Thanks for sharing useful information. You are right coffee and green tea are useful for your health. it keeps you energized.